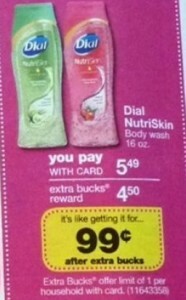 There is a $1 coupon for Dial Nurtiskin here. Save it until CVS has it on sale the week of April 11. You can get it for free after Extra Care Bucks!